Croatian midfielder who served as captain of Seville FC from 2013 to 2014, then joined FC Barcelona. 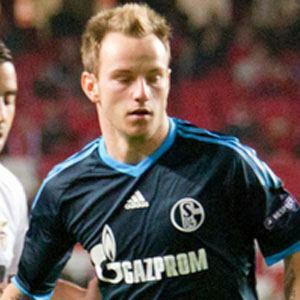 He played for Schalke from 2007 to 2011 and became a member of the Croatian national team in 2007. He made his professional debut with FC Basel in 2005. He was born in Mohlin, Switzerland and raised by Croatian parents. His decision to represent Croatia in international competition instead of Switzerland sparked controversy. He married Raquel Mauri in April 2013 and became a father with the birth of his daughter Althea in July 2013. His second daughter Adara was born in 2016. He joined Darijo Srna on the Croatian national team in 2007.